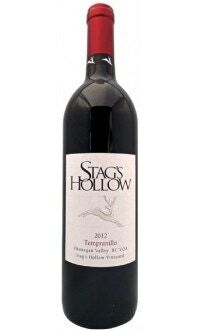 Aromas and flavours of Black berries and Morello cherries mingled with smokey oak notes. The palate is lush but dry and is balanced off by juicy fruit acidity. The wine finishes with notes of tobacco and fine grained oak tannins. Food Parings: Perfect when paired with smokey grilled meat dishes or moderately spiced sausages served up with a side of earthy roasted root vegetables. Vintner's Comments: A pure expression of south Okanagan Cabernet Franc that will pair very well with Fall harvest dishes. A lovely, complex, feminine nose of sweet floral, spicy perfume, light cola, fresh mint, vanilla-oak, and ripe berry fruit aromas. Divine. Palate is equally feminine with a silky-smooth mouth-feel brightened by a touch of brambly acidity and anchored by intense flavours that match the profile of the nose providing excellent continuity. 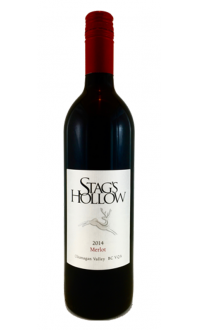 Cabernet Franc has long been one of Stag's Hollow's most consistent wines, vintage to vintage and the well-balanced, approachable 2013 is no different. Enjoy this beauty and its under $30 price tag over the next 4-5 years. Drink 2017-2020.